WEIGHS LESS THAN A 1/3RD OF A POUND! Multiple uses, all in the one unit. Woodruff Industries Professional Grade Leathercraft and Leatherworking Hole Punch Pliers are a 3 in 1 punching tool: Leather Hole Punch, Eyelet Grommet Insertion and Press Stud Button Grommet Insertion Leathercraft Pliers. Ergonomically designed for ease of grip, dependable, sturdy aluminum means lightweight but strong and durable. 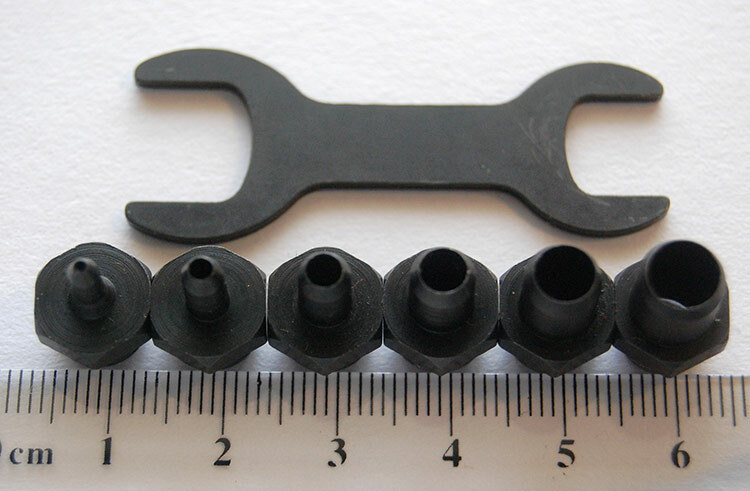 The hardened punch head die sizes are 1 mm, 2 mm, 3 mm, 4 mm, plus the bigger 5 mm and 6 mm, means that you have access to a broad range of die sizes to suit your diverse range of needs and applications when working with leather supplies and leather art and craft activities. This leather working tool is designed to punch through hard, tough leather and other similar materials; fabrics, plastic, cardboard, denim, canvas. This is a unit which will stand the test of time, which is why most people don’t bother with cheap and ineffective substitutes when they can have high quality satisfaction for a fraction more. Ask any person who regularly uses tools and they will tell you to buy quality, it will last for years. The comfortable grip on the pliers has been ergonomically designed to deliver ease of comfort when gripping and applying pressure, which means on big projects requiring lots of application, your hands probably won’t ache the next day. These pliers will last and last for many years: you will be delighted you invested in a quality tool. Remember we offer a quality satisfaction guarantee. The unit comes with a handy transparent screw top storage container to enable you to store all the accessories easily so that all the spare punch heads can be safely stored together. This unit also comes with a very handy pair of tweezers which will enable you to accurately and comfortably place the button grommets inside the die press grommet moulds. 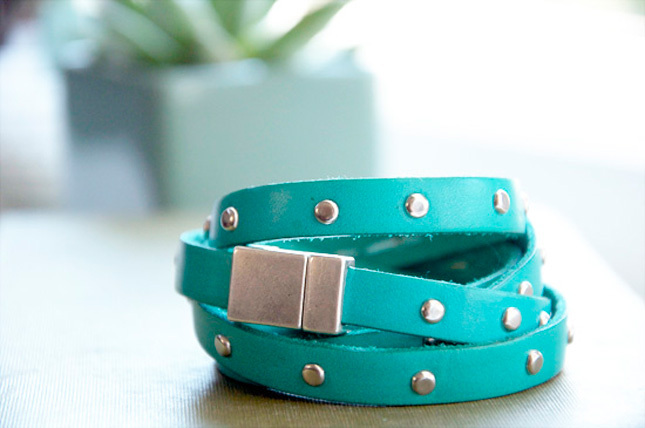 The 3 in 1 unit comes with 100 eyelet grommets in different colored buttons plus 25 sets of press stud button grommets. Why Is Woodruff Industries Leather Hole Punch Different? Woodruff Industries Professional Grade Leathercraft and Leatherworking Hole Punch Pliers are a 3 in 1 punching tool: Leather Hole Punch, Eyelet Insertion and Press Stud Button Insertion Leathercraft Pliers. There are a lot of leather hole punch units that weigh anything from one pound (436 g) to ¾ of a pound (333 g), our customers have reported when using these very heavy tools their hand aches and they can’t do those extended projects requiring the punching of a lot of holes. The Woodruff Industries 3 in 1 unit: Leather Hole Punch, Eyelet Grommet Insertion and Press Stud Button Insertion means Multiple Use In One Unit weights just 5.15 ounces or 1/3rd of a pound. The majority of leather hole punch units on the market have hole sizes from 2 mm to 4.5 mm incremented by a tiny 0.5 mm, such a tiny incremental increase is next to useless. 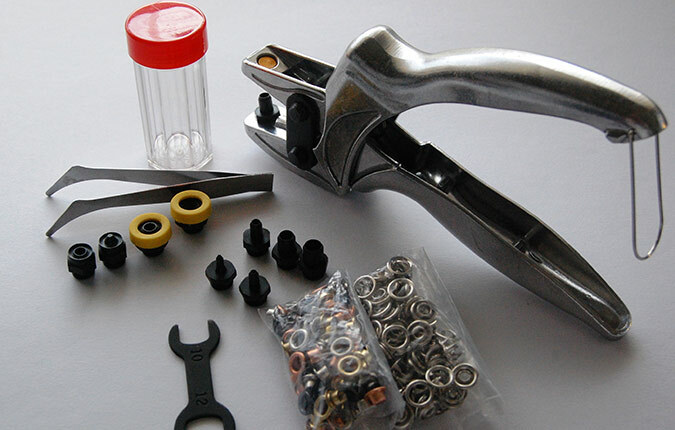 People frequently need 1 mm and the 2 mm sizes and the 4.5 mm (the largest hole punch size usually offered) which is often too small for some jobs, using leather as a lace for example, so the 5 mm and 6 mm hole dies are very useful to many people and that makes the Woodruff Industries unit highly versatile. The unit boasts a brass anvil which is 1/8th of an inch thick versus other hole punches on the market at 1/16th of an inch thick and 3/64th of an inch thick. There are no rotating parts: with rotating parts you always have the potential for malfunction and misalignment of the punch head die and the anvil base, not so here. Copyright WoodRuff Industries © 2019. All Rights Reserved.